Stand up and do what needs to be done! God gives these directions to Jeremiah as he begins his prophetic ministry. God also gives these directions to us each day as we go about our lives – loving others and speaking truth into their lives whenever God gives us the opportunity. God tells us that he will give us strength for the things he asks us to do. I can’t do it on my own. You can’t do it on your own. Sometimes we feel powerless, don’t we? I know I do. Then I realize I feel that way because I am forgetting to plug into my power source – God. I forget to ask for and receive his help. No wonder I feel powerless! I need to remember each day to ask for his strength..
“For I am with you.” declares my LORD. 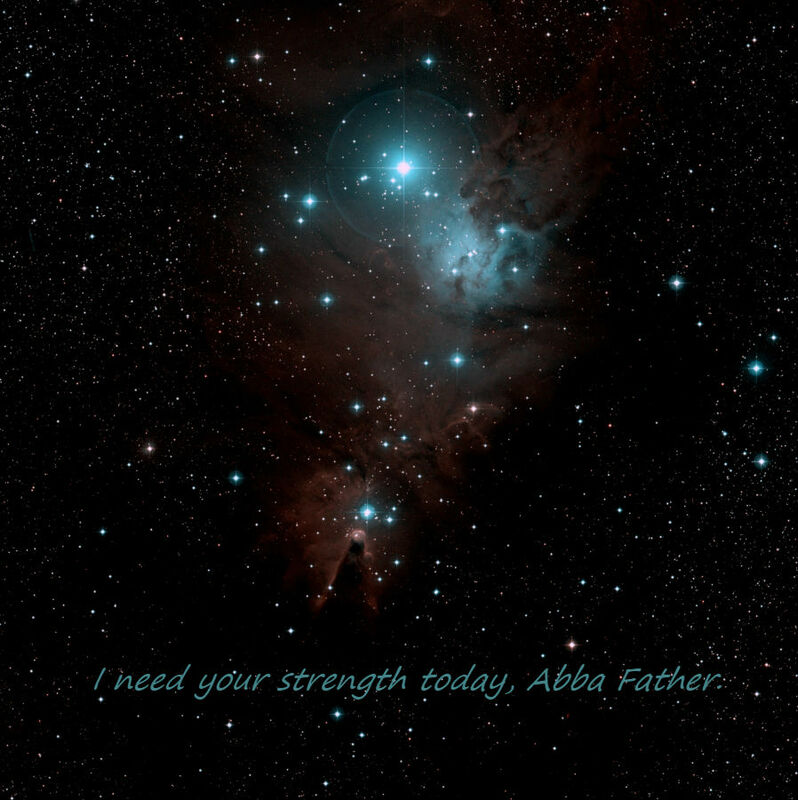 Please help me remember to ask, Abba Father.